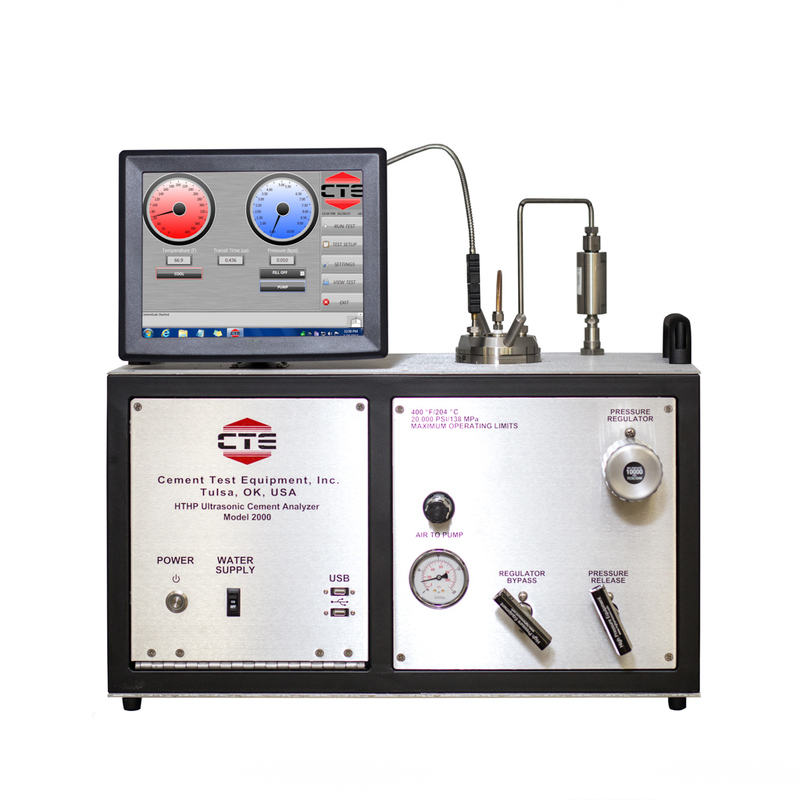 Compressive strength tests can be estimated ultrasonically. 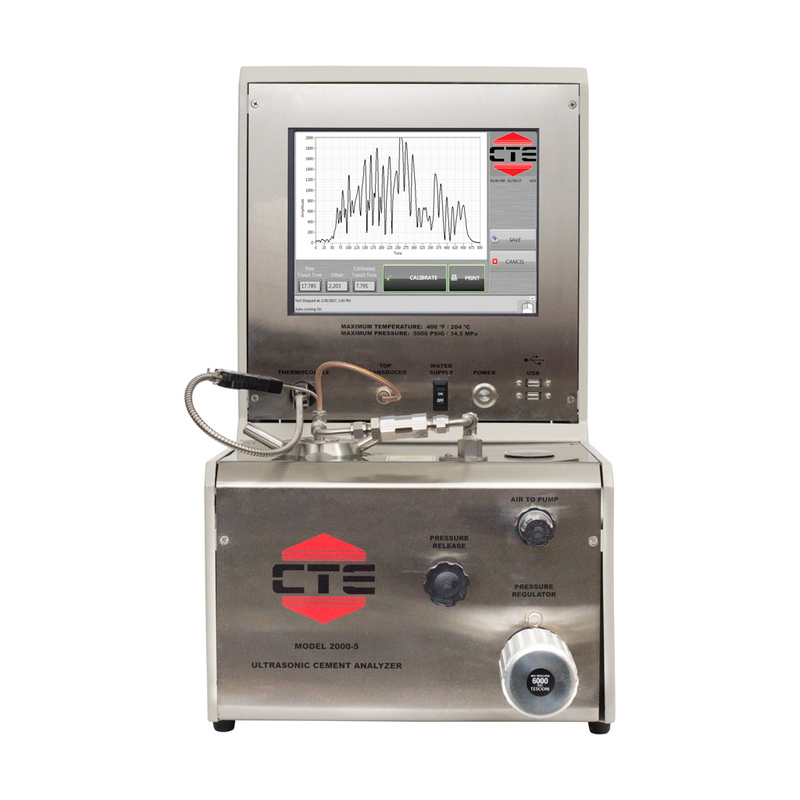 The ultrasonic cement analyzer measures the travel time of ultrasonic energy through a cement sample as it cures under simulated high temperature and high pressure conditions. This continuous ultrasonic measurement is continued throughout the test. The sonic signal strength is correlated to the transit time using an empirical relationship initially established from mechanical compressive strength and transit time data for various slurry designs. Compressive strength values using the UCA are indicative only of cement under uniaxial loading. Two different models of UCA are offered; 5,000 psi/400F (34.5MPa/204C) and 20,000 psi/400F (138MPa/204C). 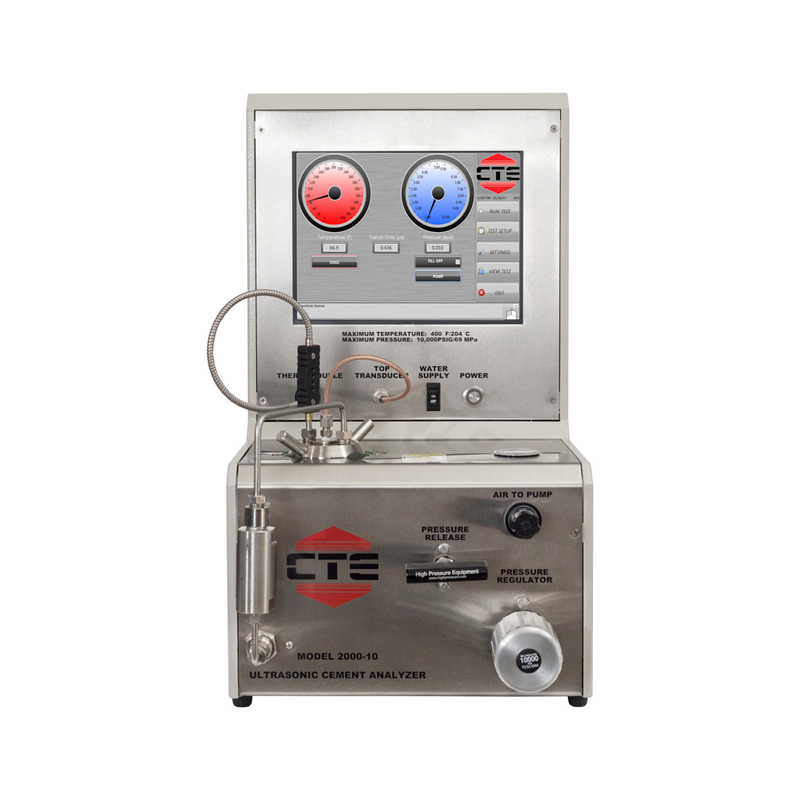 CTE also offers special ultrasonic transducer sets capable of 500F (260C).